Valley Collaborative is a Massachusetts Department of Elementary and Secondary Education approved public school entity. We provide high quality academic, therapeutic and vocational services to individuals referred by local school districts and social service agencies. We also provide ongoing professional development and training experiences for educators and educational agencies. 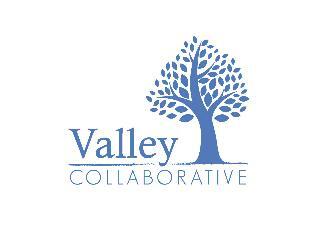 Recognizing that the educational environment rapidly changes, Valley Collaborative creates, adapts, and provides flexible programming to address evolving needs. We provide an environment within which students and others can maximize educational and/or occupational skills. By sharing its resources with multiple school districts and social service agencies, its programs maintain superior quality and reasonable costs to those it serves, by meeting or exceeding state standards, and achieving economies of scale. •	Develop IEP goals and progress reports that are reflective of student’s mental health needs. •	Flexibility to meet identified student needs. •	A strong commitment to the goals, mission, and philosophy of the organization. •	Constant standing or walking. •	Requires ability to lift up to 50 pounds. •	Bends, reaches, lifts, carries, twists, pushes, pulls, and handles equipment when performing duties. •	Repetitive wrist/arm movements when on vocational site. •	Manual and finger dexterity and motor coordination are necessary when on vocational site. •	Able to reach and operate equipment and systems safely and effectively. Ability to understand and follow both written and oral instructions. Adaptability to perform routine, repetitive tasks within a specific period of time. Prioritizes work assignments to be completed within time requirements. Must demonstrate a positive and caring attitude toward students, clients, and staff. Must remain flexible and adaptable in order to meet department needs. Due to the high volume of response, please do not call to confirm receipt of your resume Valley Collaborative is an Equal Opportunity Employer. Valley Collaborative Programs are committed to maintaining a work and learning environment free from discrimination on the basis of race, color, religion, national origin, pregnancy, gender identity, sexual orientation, marital/civil union status, ancestry, place of birth, age, citizenship status, veteran status, political affiliation, genetic information or disability, as defined and required by state and federal laws. Additionally, we prohibit retaliation against individuals who oppose such discrimination and harassment or who participate in an equal opportunity investigation. Valley Collaborative is committed to maintaining a work and learning environment free from discrimination on the basis of race, color, religion, national origin, pregnancy, gender identity, sexual orientation, marital/civil union status, ancestry, place of birth, age, citizenship status, veteran status, political affiliation, genetic information or disability, as defined and required by state and federal laws. Additionally, we prohibit retaliation against individuals who oppose such discrimination and harassment or who participate in an equal opportunity investigation.